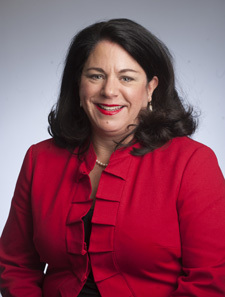 Karen Harned serves as Executive Director of the National Federation of Independent Business Small Business Legal Center, a post she has held since April 2002. Prior to joining the Legal Center, Ms. Harned was an attorney at a Washington, D.C. law firm specializing in food and drug law, where she represented several small and large businesses and their respective trade associations before Congress and federal agencies. She also served as Assistant Press Secretary to U.S. Senator Don Nickles of Oklahoma from August of 1989 to March of 1993. Ms. Harned received her B.A. from the University of Oklahoma in 1989 and her J.D. from The George Washington University National Law Center in 1995. She is admitted to practice in the District of Columbia. As Executive Director of the NFIB Small Business Legal Center, Ms. Harned comments regularly on small business cases before federal and state courts, as well as the U.S. Supreme Court. She has appeared on Fox News, Fox Business, NBC Nightly News, CNN, CNBC and MSNBC, as well as National Public Radio, CBS Radio, and radio outlets across the country. Her opinion editorials and articles regarding healthcare, lawsuit abuse, regulation, and other issues important to small business have been published in newspapers and other publications nationwide. Ms. Harned has testified before Congress on the small business impact of regulation and the civil justice system. Additionally, she has conducted numerous webinars and legal compliance seminars for small business owners across the country on issues relating to employment law, including unionization and immigration.